Everybody likes a little MAC action during the middle of the work week. 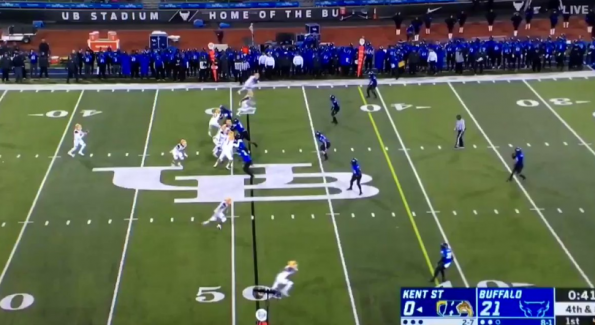 On Tuesday, the Kent State Golden Flashes were taking on Buffalo and their punter did something that won’t be soon forgotten. Punter Dustin Crum got set to kick the ball away for what he thought would be a booming punt, but instead, the ball ended up coming off funny off of his foot and went for a whopping 1 yard.